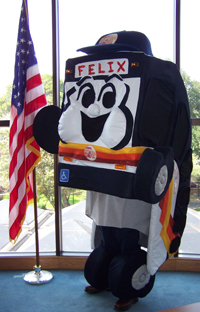 Felix the bus’s educating techniques will serve as an entertainment to capture the kids minds into learning about public transportation. Wait for the bus at any designated bus stop along your route. As the bus approaches, check the route number and name located in the area above the windshield. Make sure you have enough time to get to your stop on time. 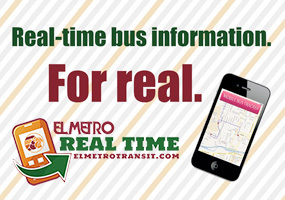 Use an El Metro bus schedule to learn about schedule trips for your bus. Do not run when approaching a bus stop. Be aware of traffic at all time and do not take any risks that may cause you to slop and fall in the street. Be aware of your surroundings. Be extra careful when walking in front of vacant buildings, alleys, vacant lots and overgrown areas. Be aware of places along the route you travel, waling where you can get help, such as open stores, gas stations, restaurants, public telephones, businesses, etc. 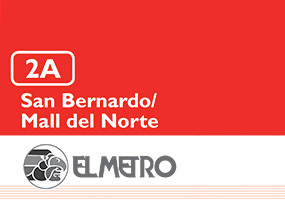 Report suspicious activity to El Metro dispatch or call 911 immediately. If at all possible, travel with a friend or in a group. 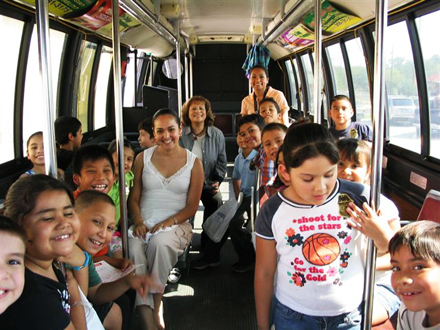 If you notice anything unusual or dangerous at your bus stop or shelter, please call dispatch at (956) 795-2250. Make sure you are seen by the bus driver. Never walk directly in front of or behind, a stopped bus. Wait for the bus to come to complete stop, the door to open fully, and passengers to leave the bus, then board. 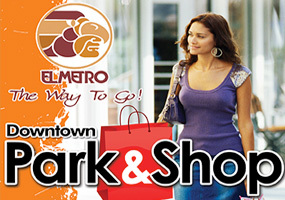 Have your El Metro card or money ready before boarding the bus. Walk carefully into the bus and promptly take your seat. If no seats are available, please use the handrails provided for your safety.